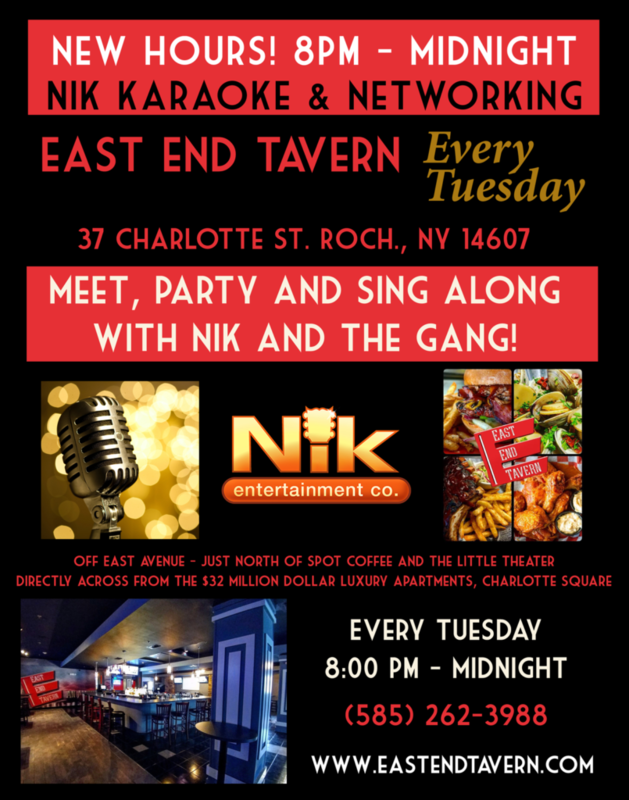 8:00 pm: Tuesday Karaoke with Nik Entertainment! 12:00 pm: Super Bowl Party! All Day Long!